I began my trip to Japan & South Korea in San Francisco, flying to Tokyo Haneda on Japan Airlines in first class on an award ticket. Due to the late departure time of my flight, I had plenty of time to kill in the evening. 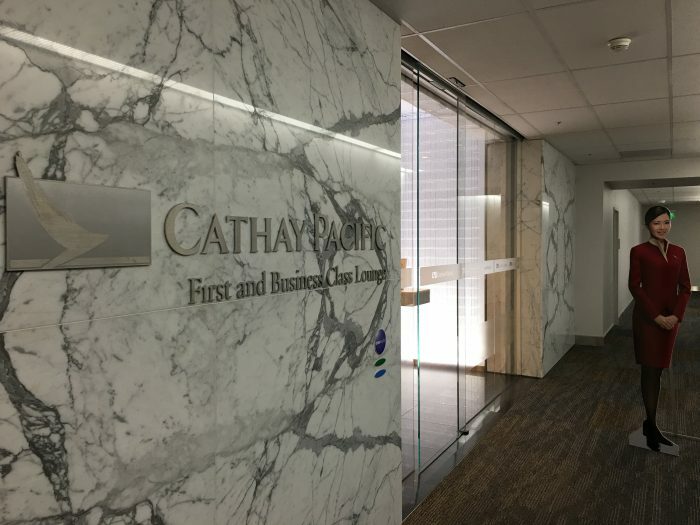 I decided to do a bit of lounge hopping by first going to the Cathay Pacific lounge, which I also had access to since it’s part of the oneworld alliance. 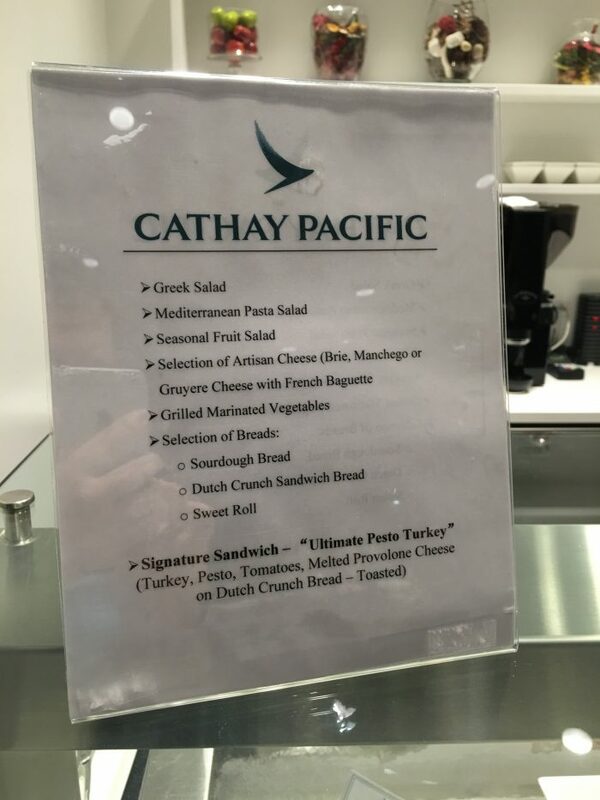 The Cathay Pacific lounge in San Francisco is located just past the security checkpoint. Head to left, and you’ll see signs for several other lounges. 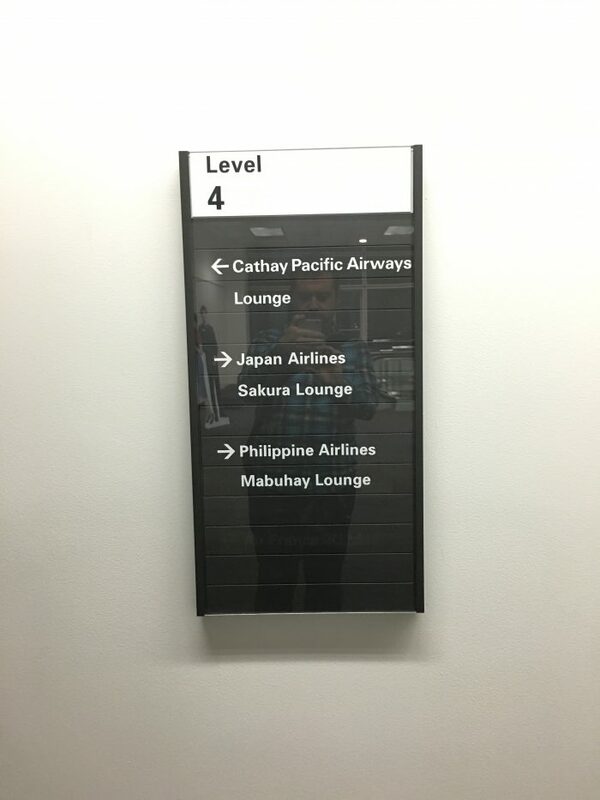 The Cathay Pacific and JAL lounges are upstairs, each at separate ends of a hallway. 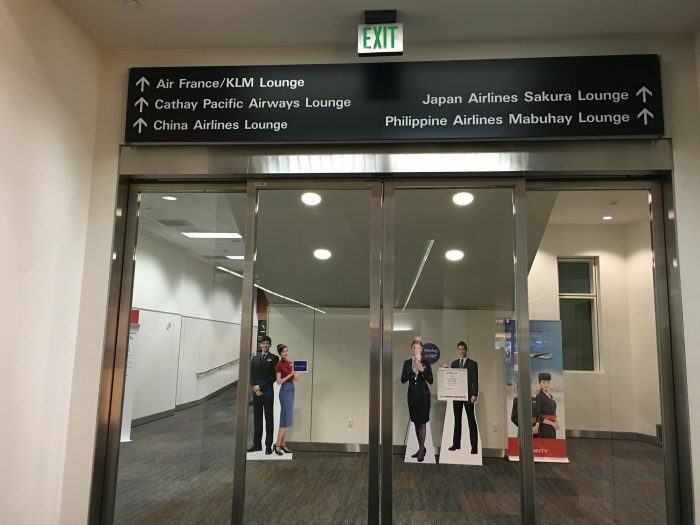 At first I thought that I might not be able to get into the lounge, even though I had access due to my flight class, but after a quick discussion, they said it was fine. 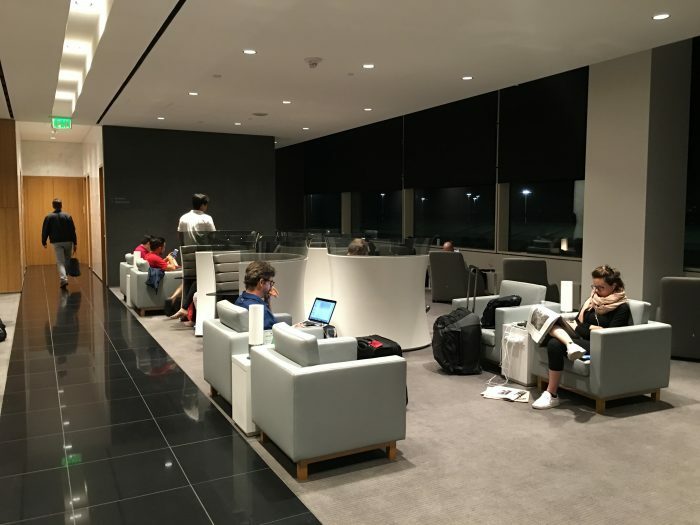 The woman at the desk did warn me that the Cathay Pacific lounge was going to be closing earlier, since their last flight departs sooner, but I was aware of that. 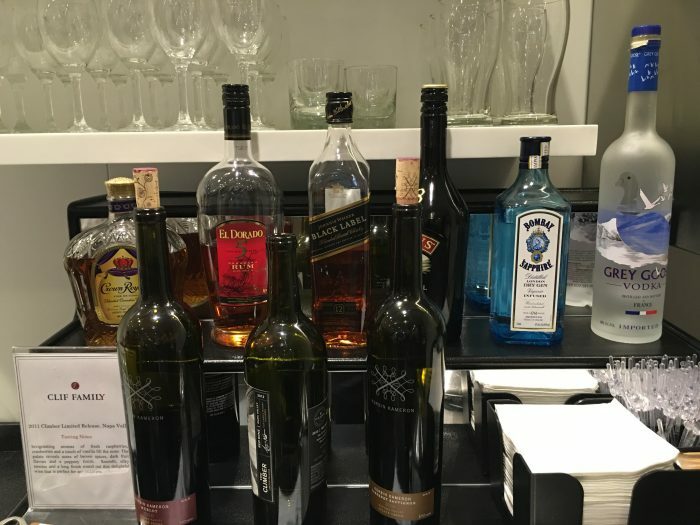 That’s why I had chosen to go to the Cathay lounge first before departing SFO. 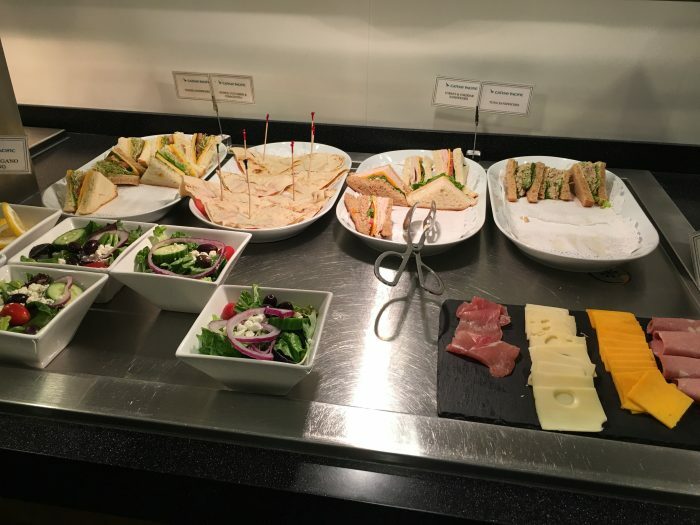 The SFO Cathay Pacific lounge is a standard non-Hong Kong Cathay lounge. It was airy, with the same clean design elements and earth tones of their other lounges. There were plenty of eating tables as well as quieter sitting areas and private pods. The lounge chairs all had plenty of power outlets. 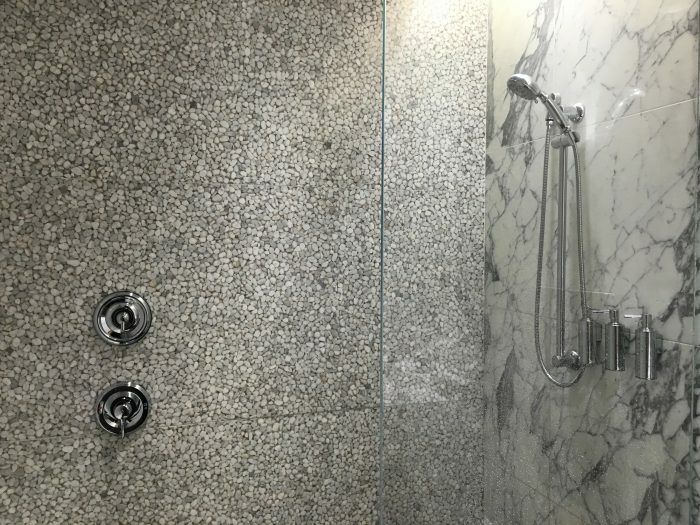 There was also a business center as well as showers. 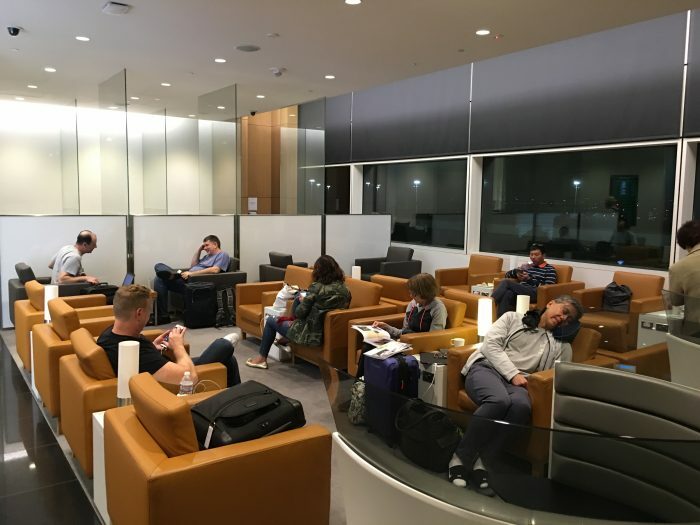 Since it was right before the last Cathay flight of the day from SFO, the lounge was pretty busy. There was still plenty of space, so it didn’t feel uncomfortable. 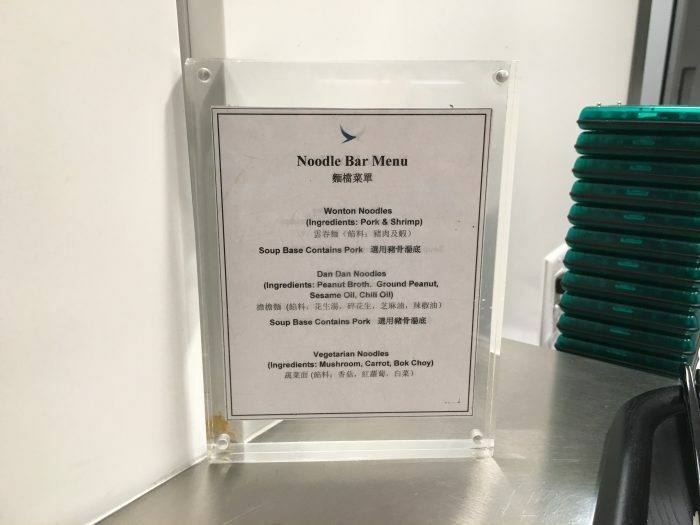 Like other Cathay Pacific lounges, there was a noodle bar. 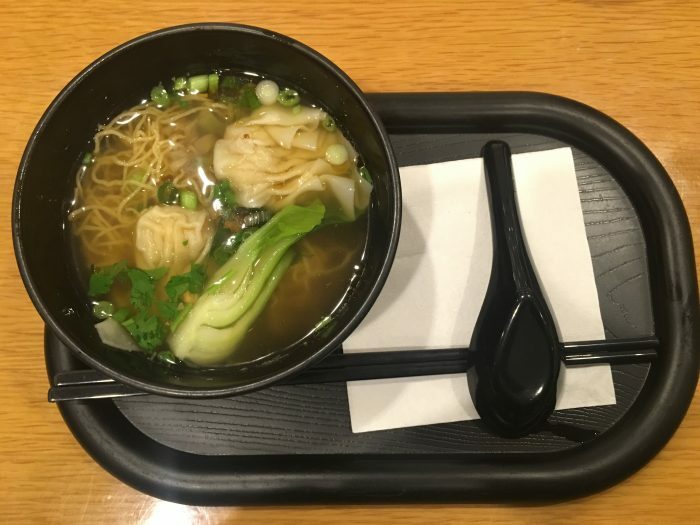 I had to have the noodle soup, of course. 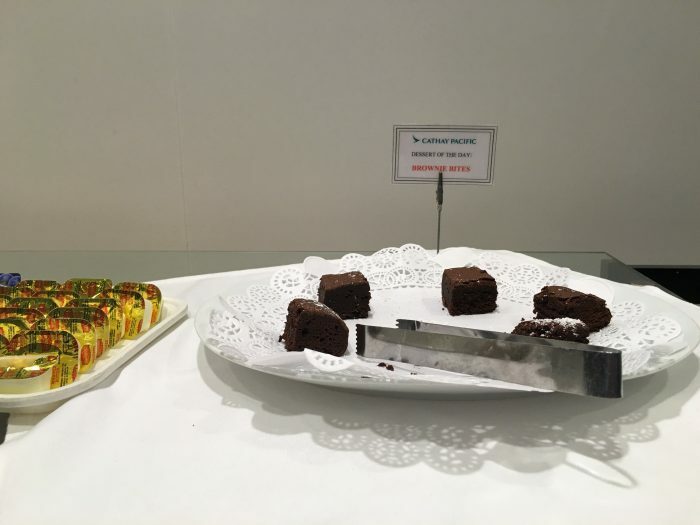 There was a deli bar too. 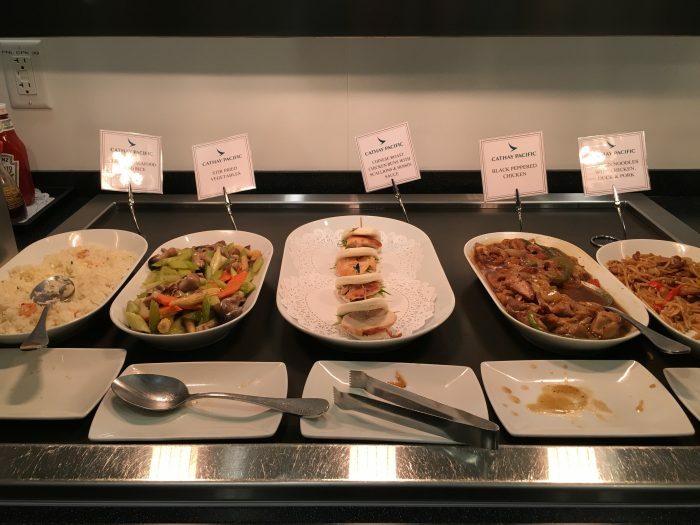 The food selection overall had a mix of cold and hot dishes, both from Asia as well as western. 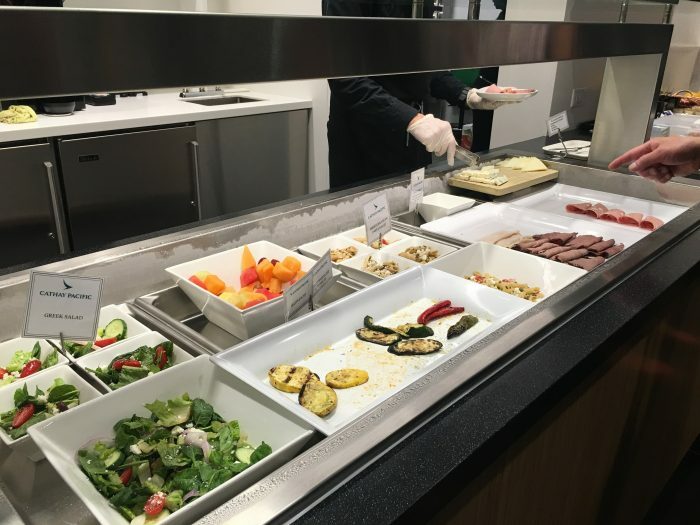 The selection of healthy dishes including salads, fruit, & grilled vegetables was especially nice for a lounge. There were other snacks and dessert too. 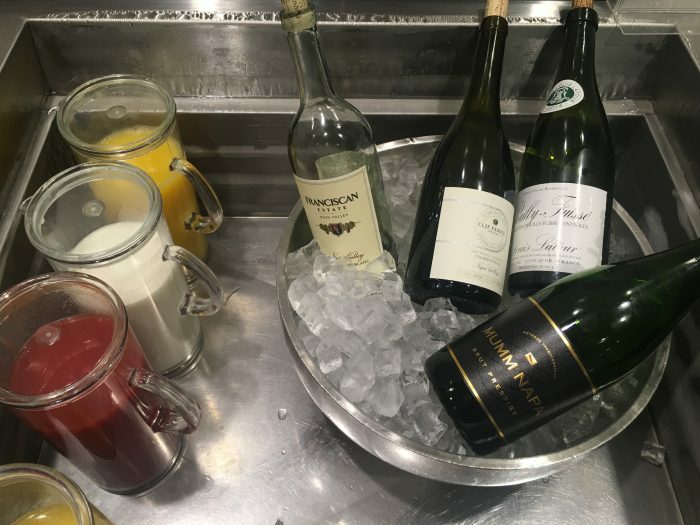 Liquor & wine was self-service. The quality was decent. 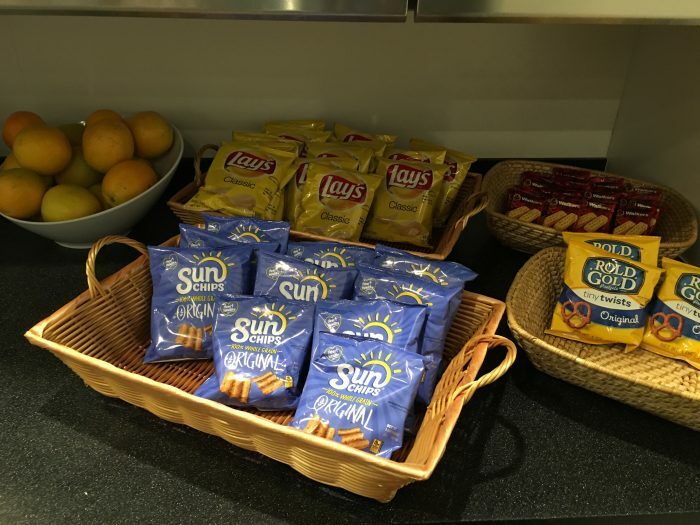 Overall, the Cathay Pacific lounge in San Francisco isn’t bad at all. 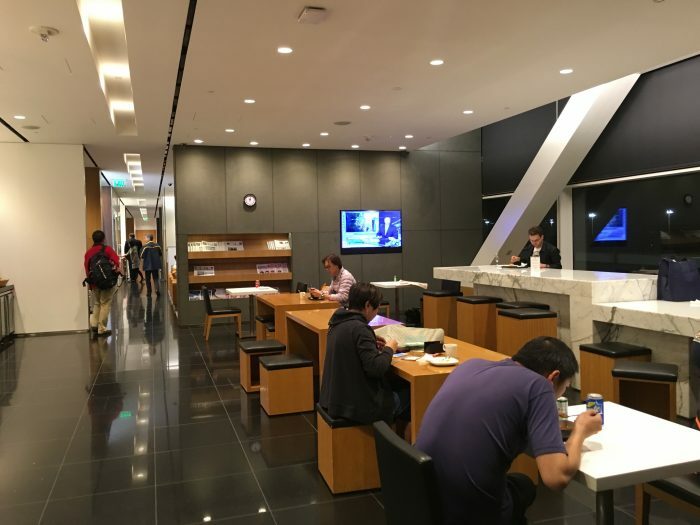 Compared to other Cathay Pacific lounges I’ve visited, it was nicer than Frankfurt, but of course nothing will top their Hong Kong lounges. 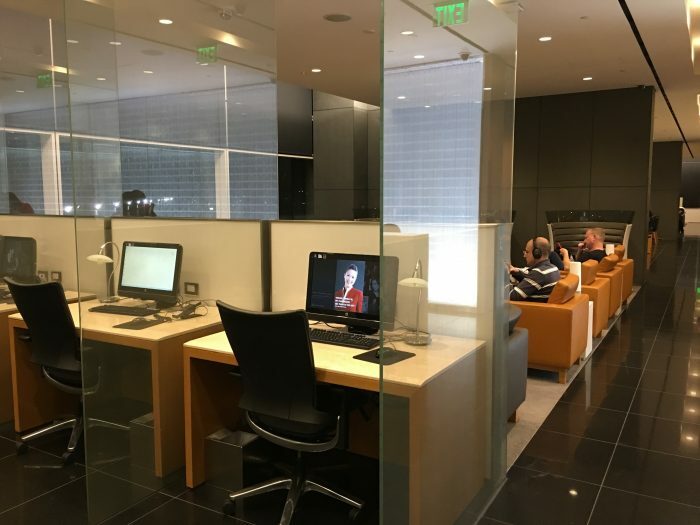 If you have access to multiple oneworld lounges at SFO, it’s the best of the lot, especially compared to the Japan Airlines lounge, which I will review next.